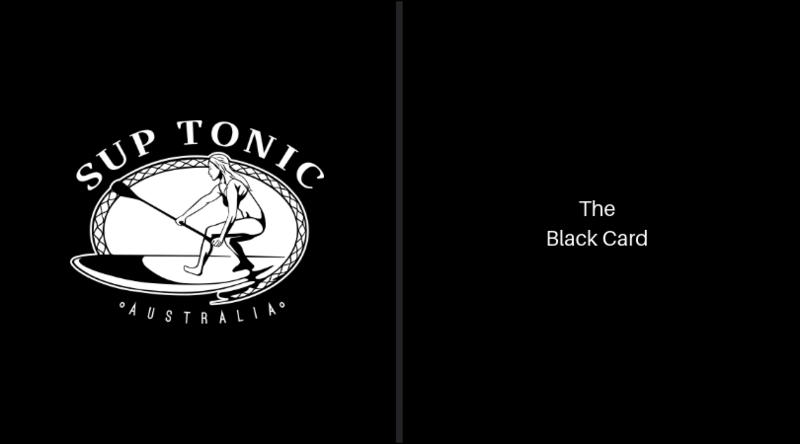 “The Black Card” entitles you to 10 stand up paddle board sessions for $150.00. This is excellent value and great way to get your mileage on the water… and it’s valid for 12 months! We operate in three fantastic locations at Sandy Beach Reserve, Bassendean, Garvey Park, Ascot and Claughton Reserve, Bayswater! Our “Eastern Triangle” offers ideal conditions to learn stand up paddle boarding. With a range of sessions to choose from you’ll get to know our beautiful part of the river a little more intimately while developing your paddling skills and fitness! Get your black card NOW! Offers ends 28th February 2019. Valid for 12 months. Click here to purchase your offer NOW!